The ARCHIE Foundation is the official charity of Tayside Children’s Hospital at Ninewells, in Dundee. We’re currently raising money for a new children’s twin theatre operating suite, which will transform the experience of children from Dundee, Perth, Fife and Angus who need operations. This is the first ARCHIE project in Tayside, and we want to do lots more! 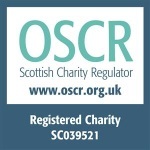 Read about our story, or click to donate and support our Tayside appeal. Around 3000 children have an operation at Ninewells every year. There is currently only one children’s operating theatre and this means that some children have their operations in adult theatres. The new suite will double the current operating capacity and will mean that the majority of children can be treated in child-friendly, age-appropriate spaces. The new unit will be bright and spacious and, as well as the twin operating theatres, there will be assessment and recovery spaces, a quiet room for parents, and indoor and outdoor play areas. The expertise and care given to children by NHS Tayside staff is first-class, and the new suite will provide facilities to match. 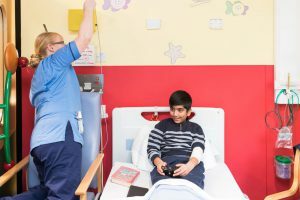 Children are not just small adults, medically and emotionally they are very different and it is far better to care for them in a specialist paediatric unit.